Of all the devastating consequences of disaster – flooding, fire, smoke, sewage backup, etc., it is the smell that too often lingers longest. Long after the cleanup, that disturbing, agonizing smell can continue to pervade your home or business property. And removing it is a challenge that resists easy solutions. Flood waters, smoke and soot, black water all can seep into hidden areas behind walls, under floorboards, above ceilings and continue to produce those acrid smells for days, weeks or longer. And you can’t escape them. Every breath confirms their existence and gnaws at your brain’s desire to heal, find peace and move on. And it isn’t just catastrophic disasters that can create odor nightmares. 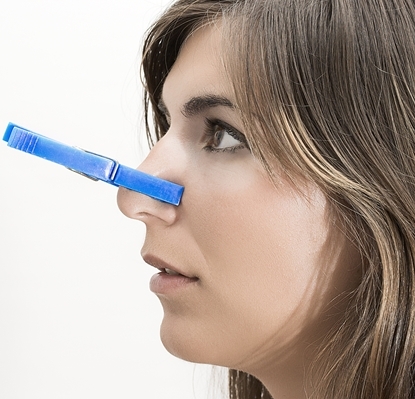 Odor mitigation and control can be an everyday challenge for homeowners and businesses. So what do you do? How do you deal with the issue when it permeates your home life… your business… your warehouse… your hospital… your school… wherever those odors invade every breath? You call CRM Services LLC. Our odor control experts will analyze your environment to identify the cause of the odors, and eradicate them with sophisticated equipment and chemicals that target the causes of the odors. We will restore your environment to the clean, healthy, odor-free environment you long for. If you hire CRM’s mitigation and restoration services when a disaster strikes, you automatically get CRM’s proprietary odor control services, because the resulting odors must be proactively addressed early, before the chemical reactions that produce the odors can grow and spread. Our experts know where to look, what to look for and how to deal with the causes immediately. Whatever the odor challenge that is concerning you right now, call the CRM Services PROS for a thorough property review and a Free, No-Obligation, No-Hassle Estimate. Call 678-540-8606 now or click on the LIVE CHAT button in the corner of this page for assistance from a real person. We’re here to help. Call us now.